This is a very dangerous project if not being handled carefully. Please take extra precaution and other safety measure when dealing with high voltage. Never ever have exposed high voltage wires lying around. It can be fatal. Take care. 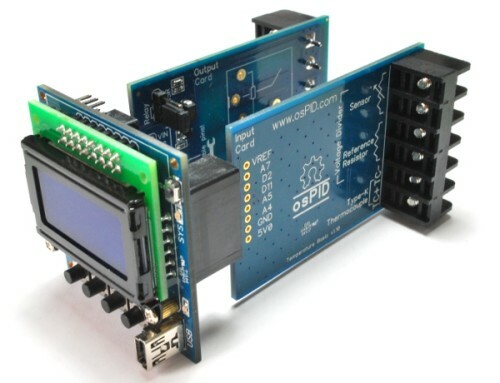 The digital output card has 3 output (maximum only 2 operating simultaneously) ports. 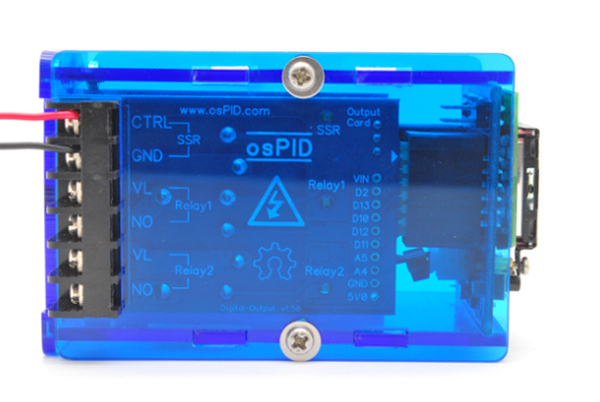 Pin D5 is configured to drive a relay. 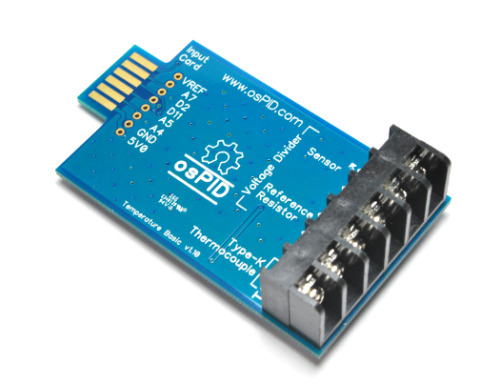 Pin D6 is configured to either drive a relay or an external SSR. Do you need the osPID unit and the load voltage to be optically isolated? 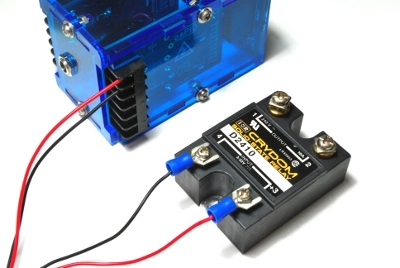 Is the load current exceed that of the on board relay? Do you have some allergy towards relay clicking sound? 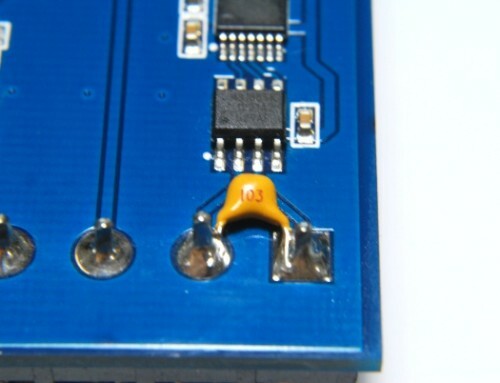 If you have chosen to use the on board relay driven by pin D5 (labelled as Relay 2 on the card), you’ll need to connect the live (hot) wire into the VL spot (5th terminal from the top) and another wire to your load (oven, heater). 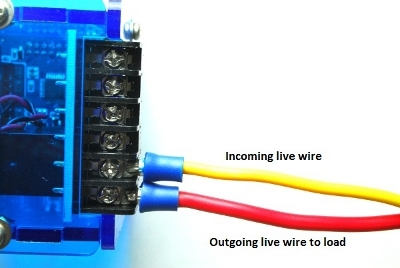 Please take note of the wire size required to carry the load current in your setup. Connect a wire from CTRL spot (1st terminal from the top) to the positive control terminal of your external SSR. Connect another wire from GND spot (2nd terminal from the top) to the negative terminal of your external SSR. Connect a wire from CTRL+ spot (2nd terminal from the top) to the positive control terminal of your external SSR. Connect another wire from GND spot (1st terminal from the top) to the negative terminal of your external SSR. It is recommended to use a color coded wires in the setup. 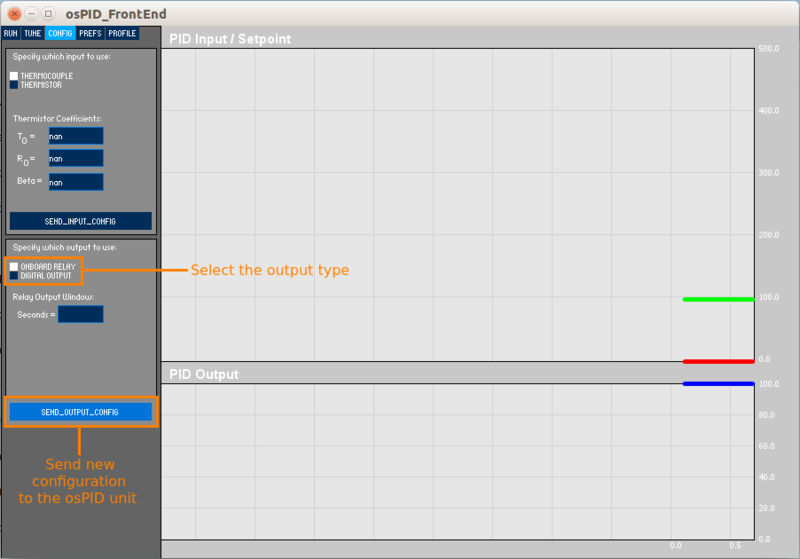 Depending on your output selection, you might need to configure the osPID unit to drive the selected output port. 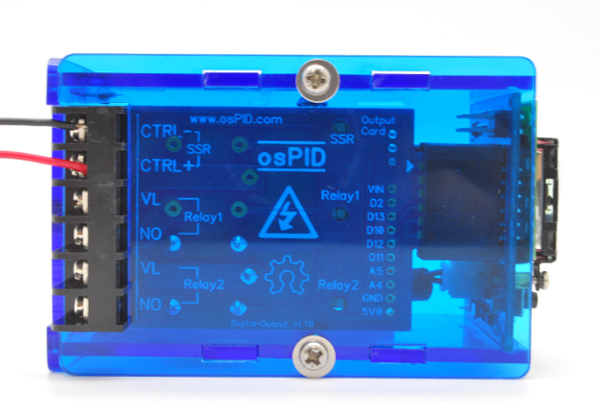 By default, the osPID unit is shipped with a firmware that uses pin D5 as it’s output port.